New to Division-I basketball, both men and women’s basketball have both started their seasons, with men starting the year at a 2-4 record and women starting at a 1-5 record. With early season struggles behind them, both teams look to turn their season around before conference games begin. De’jon Davis, junior art major and power forward, said he believes the slow start of the season is all about learning from their mistakes and improving on them. The biggest highlight of the men’s team to start off the year has been Milan Acquaah, sophomore undeclared major and guard, who was recently named to the All-Tournament team during CBU’s invitational tournament in Las Vegas during Thanksgiving break. Women’s head coach Jarrod Olson said being in a new division is challenging but he is optimistic for a turn-—around. Davis said he believes one way for the team to turn around these early-season struggles starts with practice. The silver lining for the women’s season so far has been Brittany Thomas, junior psychology major and forward, who was recently named Western Athletic Conference Women’s Basketball Player of the Week, Nov. 29. Jarrod Olson, said Thomas’s dominance to start the season has come from her coachability as a player. 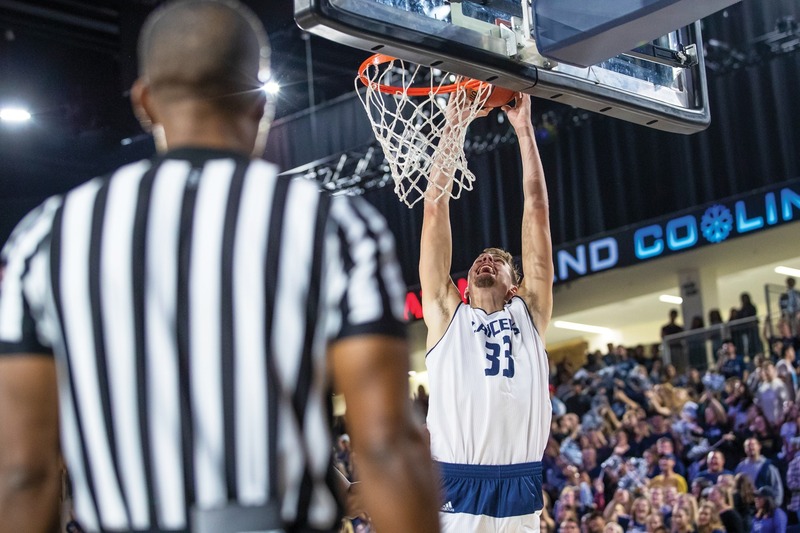 The team’s next game will be Dec. 1 against Mississippi Valley State University with conference games set to begin Jan. 3 at home against New Mexico State University. The women’s team’s next game will be at home against University of California Riverside, Dec. 6, followed by another home game against Fresno Pacific University Nov. 29. Conference games will start off the new year and semester with a game Jan. 3 at New Mexico State.